The rocket that went on a rocket! We have been very fortunate in being selected as one of the schools to take part in the Rocket science experiment! We have been sent two packets of rocket seeds to grow. One packet has been on the international space station the other has not, we don’t know which is which! Over the next 35 days we are to measure and record similarities or differences in plant growth between the two seed packets and record this. At the end of this period we will enter our results in the national database where they along with other schools results will be analysed and published. We are keen to see if there will be any differences and have had lots of discussion as to what they could be and why. 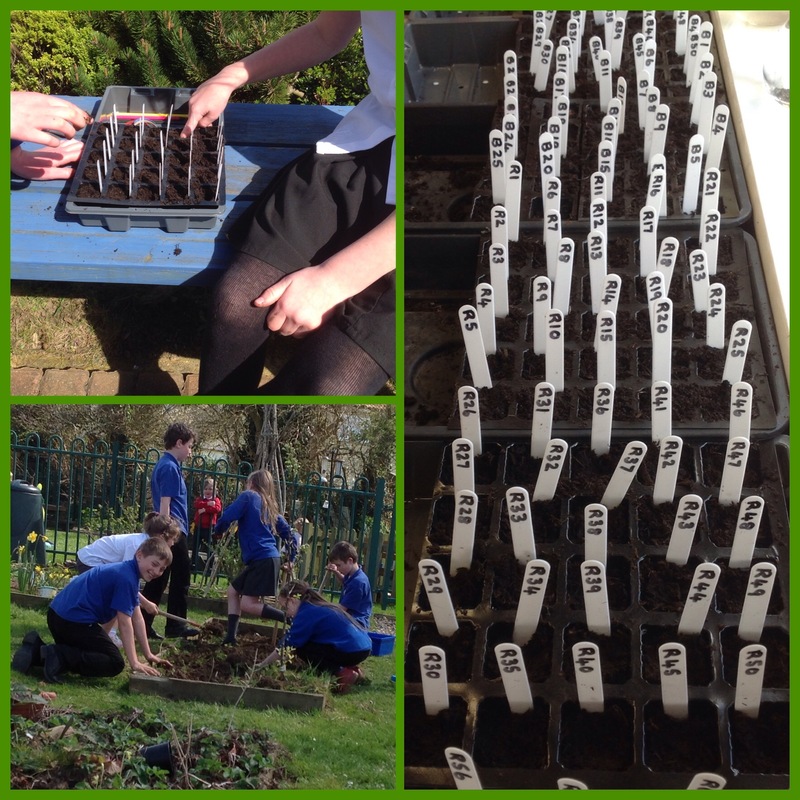 We have also been busy planting out our seed potatoes as part of looking at ways plants reproduce. How exciting – what an opportunity year 5! I’m intrigued to hear more about what you discover. I’ll be keeping my fingers crossed for lots of sunshine to help your rocket “rocket”! Wow, what an amazing opportunity to be involved in an exciting experiment. That’s fantastic they are involved in the RHS campaign for school gardening, looking forward to hearing the results. Good luck. I am genuinely intrigued to find out whether a trip to space will make any difference to the way these plants grow. Please keep us updated!